Uses: Great as a foundation plant, specimen or hedge, can be used as a replacement for pyramidal yews. Good in groupings and mass plantings, perennial and shrub borders, can be used as a screen or hedge. An outstanding plant for the winter landscape. 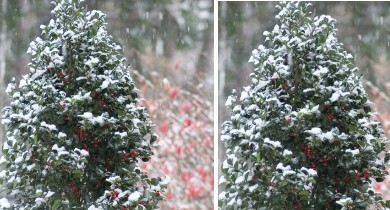 Features: Compact pyramidal evergreen holly. Red winter berries. Use Castle Wall as pollinator. Pruning: Prune to shape after flowering.